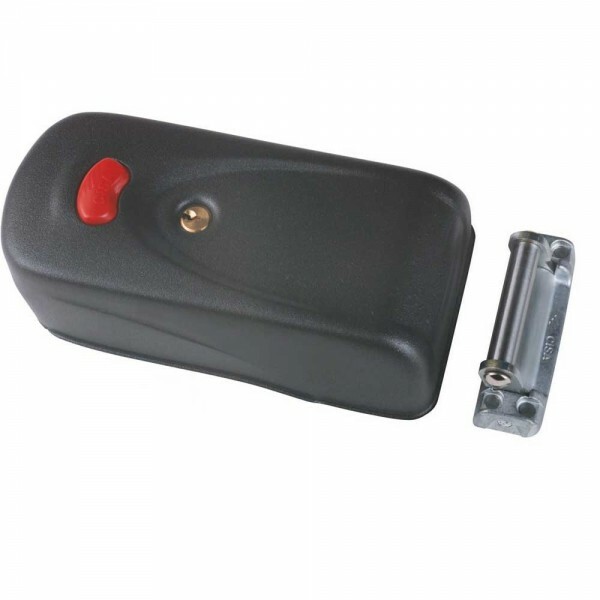 The Cisa Eletrikka 1A731 has a tubular cylinder extending out the back of the lock for external key override. The red push button on the lock case can open the lock even in the event of loss of power. The inside cylinder has three functions; 1. as a key override, 2. to block the red exit button, 3. to engage the lock hold back function. This lock is supplied with a weld-on backplate for a neat installation on your steel gate.